Chevrolet is already redesigning its award-winning midsize car for what looks like a tough decade ahead. A Fresh styling, more room and new fuel-efficient powertrains could mean more accolades and more sales. Chevrolet’s midsize Malibu sedan won the 2008 North American Car of the year award title, and it out polled out a key rival. That’s an impressive turn around from the dishwater dull Malibu’s of recent years, considering that the NA COTY is chosen by the selecting group of hard headed automotive journalists. 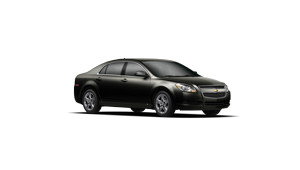 The 2012 Chevrolet Malibu will also have an arched roofline and a boxy tail which is good for truck space and higher rise bodysides with more sheetmetal creases for a leaner, less puffy look. The New version of the New Chevy Malibu’s face is with a thick horizontal bar bearing the bow-tie logo laid atop a large trapezoidal grille. Chevrolet is already working on the next generation Malibu , which is expected for model year 2010, possibly 2011. Chevrolet still takes four to five years for most vehicle makers to take a new model from first thoughts to final assembly, about three years once the basic design is locked-in. The 2012 Chevrolet Malibu will share GM’s new “Epilon2” midsize-car platform with the 2010 Buick Lacrosse, slated to bow in early 2009, and a redesigned 2010 Saturn Aura expected later that same calendar year. Exterior sheetmetal will again disguise the common “bones” but with a key difference. The flexible manufacturing allows GM to more quickly alter the production mix to suit changes in sales demand, which not only saves money but also boosts potential profits. The 2012 Chevrolet Malibu will be somewhat larger than today’s car. That implies an extra inch or two in wheelbase and overall height, but maybe not overall length which should mean more passenger and cargo space. E2 engineers at GM’s German Opel branch, which have global responsibility for GM midsize cars, will be watching weight with an eye towards boosting fuel economy and reducing emissions. We thus expect the 2012 Chevrolet Malibu and other E2 models to make greater use of lightweight materials, including stronger hydroformed steel for major structural members, which should pay off in cars that are tighter, quieter, and more durable. GMC Auto Parts Online – Body Parts, Car Accessories, Performance Parts, Automotive Parts, Wheels etc.